At Automotive Repair Systems we use legal, market leading compliant products that are OEM approved. We are so confident in the quality and longevity of our repairs that we offer a guarantee on all of our Paint Repairs, Alloy Wheel Refurbishments and Paintless Dent Removal. We operate an Ownership Lifetime Warranty for all mobile paint, dent and alloy repairs carried out to non-trade customer vehicles, where the repair has degraded or failed. This includes repairs carried out for Retail customers of trade customers (through Aftersales departments)*. Wear and tear or additional damage (including that caused by stone chips) will invalidate the warranty. The warranty will expire as soon as ownership of the vehicle has been transferred. *Repairs must have been originally paid for by the retail customer, not by the trader on behalf of the customer. Proof of payment will be required. 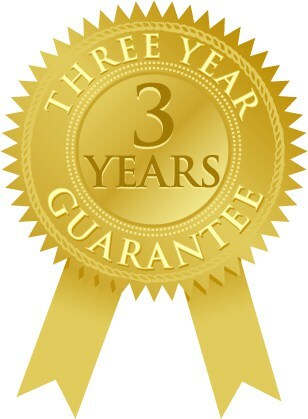 In the event proof cannot be provided then our standard 3-year trade warranty will apply. Please note: our warranty does not include Interior and Glass Repair. No warranty is offered on interior or glass chip repairs. Please see additional terms and conditions of business for glass repairs. We offer a 3-year warranty on all mobile Paint Repairs, as well as mobile Alloy Wheel Refurbishment and Paintless Dent Removal (PDR). Wear and tear or additional damage (including that caused by stone chips) will invalidate the warranty. Please note that no warranty is offered on interior or glass chip repairs. See additional terms and conditions of business for glass repairs. All repairs carry a warranty of 3 years from the date of repair unless stated otherwise below. Kerb or other damage to the alloy voids the warranty, unless photographic evidence of the defect(s) has been provided at the time of the claim which clearly shows that no kerb or other damage is present. In the event that an alloy has been damaged in the period between the claim being made and its arrival with us, you agree that the wheel will only be repaired to the best possible look, finish and style achievable, and that we will not be held liable for any costs or further remedial action as a result. Kerb damage and stone chips will damage the integrity of the powder coat and may cause the paintwork to crack, splinter or peel. This consequential damage may be different in look from the original, pre-repair paintwork. No warranty is offered or given in these circumstances. Welds or corroded alloys do not carry any warranty in any circumstance. The warranty is void if we believe that no reasonable care or attention was paid to the wheel, or if it has been mistreated (including during the cleaning process). A warranty claim only covers the re-repair of the affected wheel(s). No other claims for costs arising as a result of the re-repair, either directly or indirectly, will be accepted. No warranty is offered for centre caps. In the course of repair, glass may crack beyond repair through no fault of Our technician. You acknowledge that risk. If that happens We will not charge you for any attempted repairs. We will recommend that You contact a windscreen replacement company (such as Autoglass / National Windscreens / RAC Windscreens) to replace the glass. If the vehicle in your possession does not belong to You, We advise that the owner claims windscreen replacement costs through their motor insurance. An excess will be payable by the owner/policy holder, although the claim generally does not affect any no-claims bonus. Whether You proceed with a replacement or not, You agree that paragraph 2 below shall apply. You acknowledge and agree that We will not be held liable for any costs arising due to cracks occurring as a result of any warranty work, or because of repairs carried out on previously untreated chips on the same windscreen. The performance of some heated windscreens can be affected by glass chip repairs depending on the severity of the damage. You acknowledge and agree that We will not be held liable for any costs or performance issues arising as a result of any glass chip repair. These Terms of Business for Glass Chip Repairs applies to all customers of Automotive Repair Systems Limited, including the Motor Trade Industry.